The Grid Foam Roller is designed for athletes and people of all types – from long distance runners and endurance athletes to Crossfit competitors and major league sports players to soccer moms and yoga enthusiasts. The Roller is used to achieve a comprehensive core body workout to challenge core muscles as well as a self-massage tool. Whether you’re looking to massage your lats, quads, lower back, or any other large muscle group, or trying to achieve a killer core body workout, The Grid is certain to suit your needs. 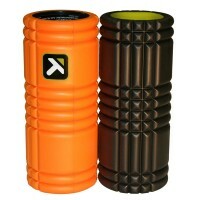 The Grid is the most versatile and comprehensive foam roller and workout tool available. The Grid Foam Roller feature “Green” technology. It is constructed with less foam than traditional foam rollers and designed to withstand constant, heavy, and repeated use without breaking down. At just 13″ long and 5″ in diameter, The Grid makes an excellent travel companion. 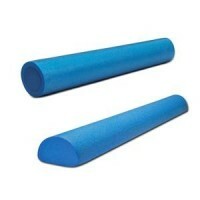 Develop core stabilization, lower body balance and stamina with the High Density Foam Roller. 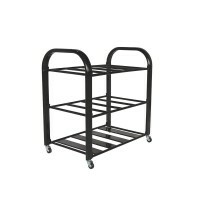 It’s sturdy and resilient, with the high density molded foam retaining its shape even after heavy use. This ultra-rigid roller can be used for gentle stretching, trigger point therapy and self-mobilization of the spine and joints.